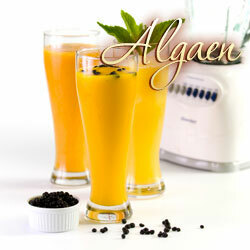 Algaberry is a great nutrition additive to our daily diet. Algaberry features of richness of nutrition and enjoyable chewy texture but no taste, which even makes Algaberry a greater additive to our meal. Add Algaberry in your salad! When your salad is ready, add 2~3 spoons of Algaberry to it. Algaberry’s enjoyable chewy texture will give you a whole different diet experience. 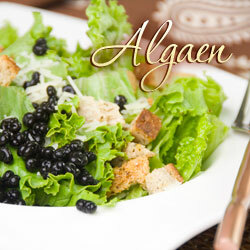 Algaberry can be added in Caesar Salad, Sea Food Salad, and Fruit Salad.